BRIGHTON, Mich. - Wouldn't it be great if your vehicle could help you actually "see" the road? Well you're in luck because Ford is developing an advanced lighting system to ID potential driving hazards before the driver does. This incredible new technology is called the Camera-Based Advanced Front Lighting System, and is one of the most exciting safety features Ford has ever produced! This new system adds to Ford's current Adaptive Front Lighting System and Traffic Sign Recognition, which are already available in the current Ford lineup. These features improve visibility for drivers in badly-lit areas, as well as roundabouts and stop, give-away or yield signs. This system is truly state-of-the-art! 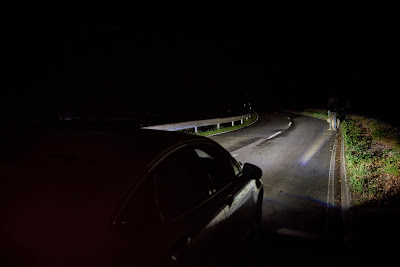 The Camera-Based Advanced Front Lighting System can spotlight hazards with a spot and a stripe on the road surface, which is illuminated by two special LED lamps next to the fog lights. The highlighted object shows on the display screen inside the car and is boxed by a red or yellow frame, depending on the proximity of the object and the level of danger presented. The fact that Ford is developing an advanced lighting system to ID potential driving hazards before the driver does further fortifies Ford Motor Company as one of the industry-leading producers in safety features and technology. If you would like to get a first-hand look at the current Ford safety systems integrated into its vehicles, stop by your local Howell Area Used Car Dealer today! We have tons of new and used vehicles for you to check out, or even take them out for a test drive. Brighton Ford is located at 8240 Grand River Ave. just north of I-96 in Brighton. We are a family owned and operated business that strives for customer satisfaction. For more information on Brighton Ford visit BrightonFord.com or give us a call at (800) 836-8206.